History of Schwarzbier I cont. 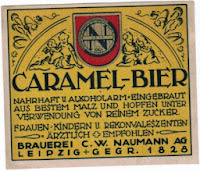 The "Fürstliche Brauerei Köstritz" (princely brewery Köstritz) was the first to produce a beer under the name "Schwarzbier" but it was not as unique as it seems. Schwarzbier shared nearly every quality with the beers named "Deutscher Porter" (german porter) except the name. 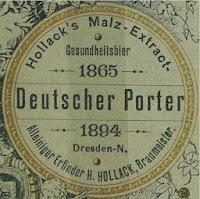 Deutscher Porter was an english inspired beer of cause: The high original gravity as well as the black color facilitated by black malt or caramel color. But like Schwarzbier it was early on advertised as a healthy beer. The less alcohol and the more residual extract the better. Schwarzbier was just another name for german porter. 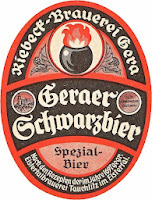 The owner of the brewery was an aristocratical manorial lord, loyal to the Reich and the Reichskanzler. The coat of arms of the principality "Reuß" was printed on every label. They tried to establish a precious and royal image in order to find their way into the parlors of the upper class . Under such self-complacent and probably nationalistic circumstances it's no wonder that they preferred to sell a new beer under a german name. Schwarzbier fits better into such a traditional branding than "Deutscher Porter". 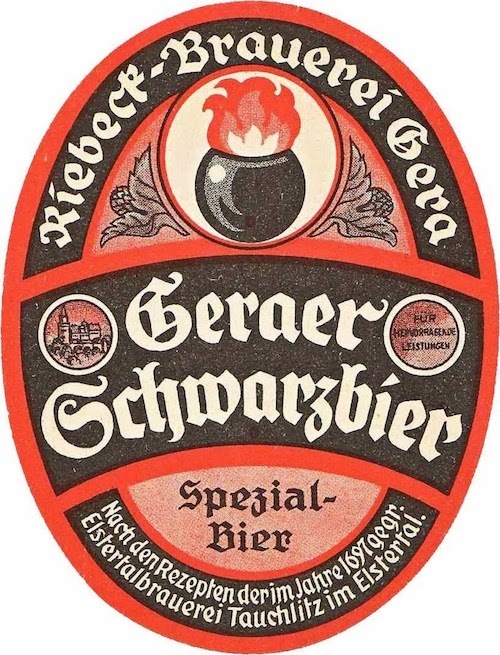 The name "Schwarzbier" was copied by other breweries in the region around Köstritz like in Tauchlitz (sighting distance from Köstritz), Gera and Zeitz. In this time of upcoming anti-alcoholism many breweries offered similar brews. 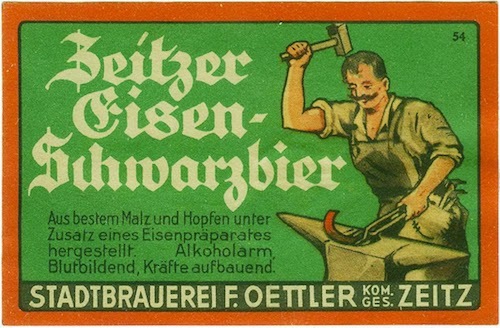 "Eisenbier" (iron beer), "Caramel Bier", "Extraktbier", "Kraft Bier" (tonic/strength beer) and so on. All had in common relatively low alcohol and high residual extract. Mostly dark to black but there was also pale wheat based beers. Around 1900 the by far most important competitor of beer was coffee. 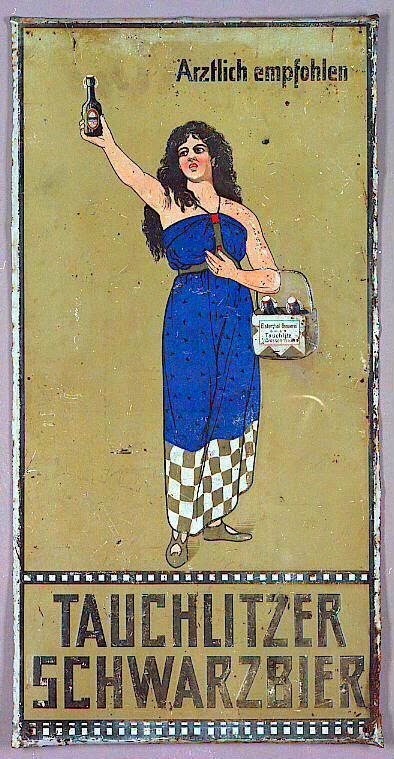 It was perceived as nourishing, vitalizing and healthful. It was black. Why should coffee be nourishing? Because it is black. Like coal. It is carbonized and therefore it contains carbon which is combusted in the body! Besides it detoxicates the body like activated charcoal! The "style" separated into "Deutscher Porter", "Doppelcaramell" and "Schwarzbier" all three were produced almost exclusively in the GDR. 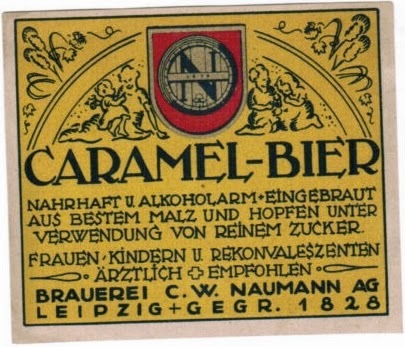 There was also "Malzbier" in western Germany.